Keep landscape mulch at least 12 inches from the foundation of your home. 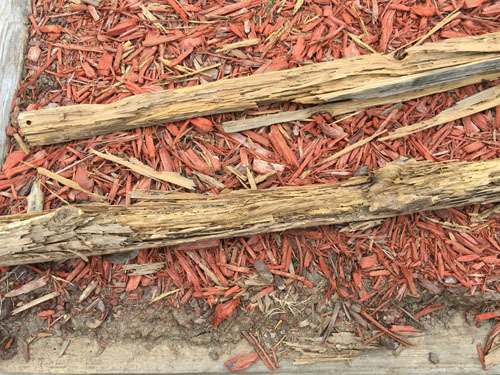 Remove all scrap wood and wood debris from around and under your home. Keep gutters clear of leaves and debris. Make sure your sprinkler system does not distribute water near the foundation. Make sure your gutters discharge water at least three feet away from the house. Look for piles of discarded termite wings on window sills, countertops and floors. Look for small piles of wood residue or shavings as well as tiny wood holes, crumbling drywall and sagging doors. Beware of bubbled paint or visible, pencil-sized mud tubes running across concrete or connecting soil to wood. 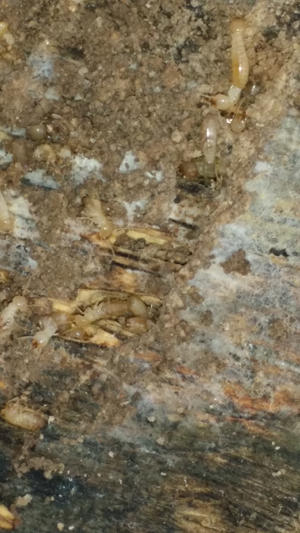 Schedule a termite inspection for your home. we can install Sentricon® around your home's perimeter. Sentricon® is the only product to guarantee total colony elimination and are a certified "green product." Periodic inspection of the stations insures that your home is free of termites. Call or e-mail Enviroguard Pest Solutions at nobugs@egpest.com today to schedule an appointment to inspect your home for termites.